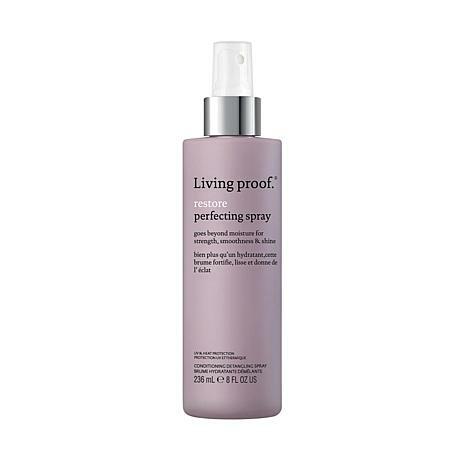 Living Proof No Frizz Instant De-Frizzer 6.2 oz. 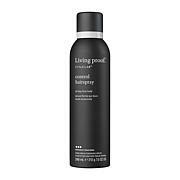 Living Proof PhD Body Builder 7.3 oz. 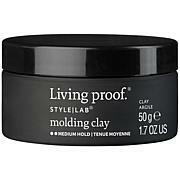 Living Proof Molding Clay 1.7 oz. Restore Perfecting Spray is a featherweight conditioning detangler that delivers all the benefits dry, damaged hair needs to look and feel healthier. The result: shinier, more polished hair. Generously mist damp or dry hair prior to heat styling. For UV protection, shine, and to finish, spray evenly over styled hair.